Brian Moore is eating the Sheep’s Head. If you are lucky enough to find yourself in Kilcrohane on a Sunday night then there is only one place to be. Eileen’s Bar is one of those pubs that leave you feeling that you have just been wrapped in a lovely warm duvet, that is, a lovely warm duvet with beer. 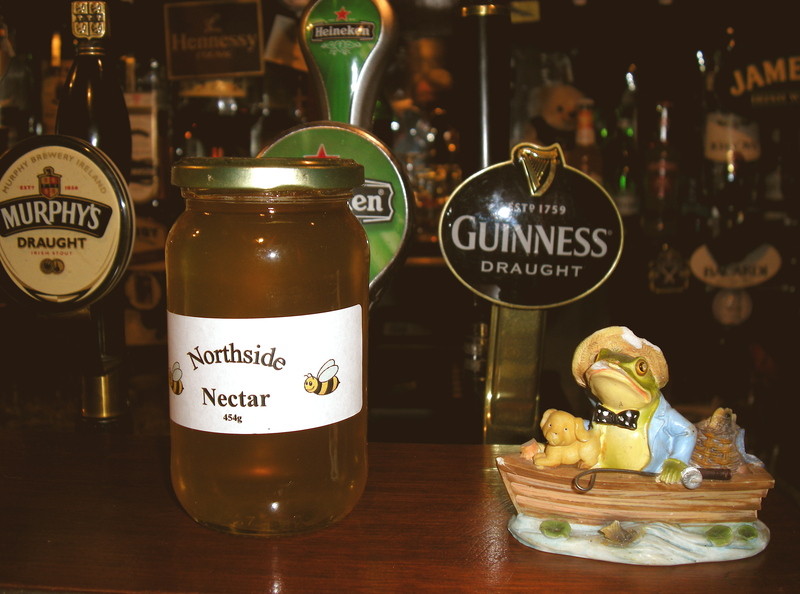 However, Eileen’s is much more than a village pub; you can also get fresh eggs, jam, potatoes, turf and a locally-produced honey known as ‘Northside Nectar’. That’s why Eileen’s is the best pub on the peninsula. Last Sunday night, we opened its welcoming red door to find the fire glowing in the hearth, the pints of Guinness lined up on the bar and Neil Lynch ‘the Human Jukebox’ already set up for his gig. 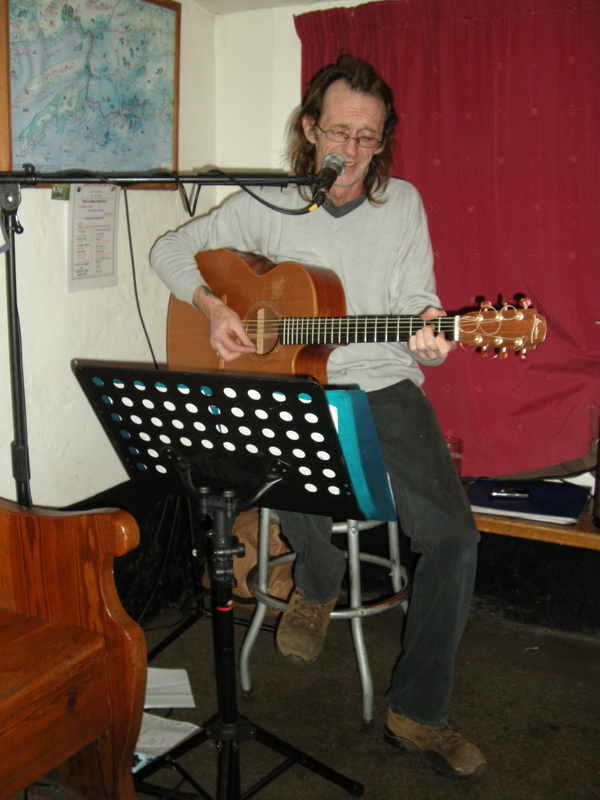 Armed with his guitar, Neil soon had the bar rocking to classics that ranged from Christy Moore to the Rolling Stones, from the Dubliners to J.J.Cale. Neil’s motto is ‘I’ll play anything you like and if I can’t play it tonight, I’ll know it for the next gig’. I asked for the old favourite ‘Black is the Colour’ which he duly did justice to. I wonder if he knows ‘Coffin Fodder’ by Cradle of Filth? As the evening wore on, the ‘Human Jukebox’ was joined by the best spoons player in the world, or in Kilcrohane anyway, Finbarr Spillane. The duo soon got the dancing underway and as the night rolled on it was easy to see why Eileen’s Bar is so popular. Before this, I had only experienced Eileen’s during the summer months when walkers from across the globe gather in Kilcrohane as they prepare to enjoy the stunning scenery along the Sheep’s Head Way. Eileen is always ready to welcome the tired walkers with sandwiches and coffee. On summer evenings, sitting on the wall, outside the pub with a drink in your hand, listening to the babbling stream by the village church and watching the swallows darting about as the sun sets in the west, this is what makes Eileen’s and Kilcrohane the jewel in the crown that is West Cork. But now I feel guilty; I don’t miss my local pub back in Cork city. MOK’s on the Bandon Road is one of those ‘real’ pubs that are sadly disappearing. Like Eileen’s, MOK’s is very warm and welcoming, but unlike Eileen’s, the only ‘food’ available in MOK’s is crisps and peanuts, which if you knew MOK’s you would agree is very fitting indeed. Now that I have a new favourite pub, it’s time to write that letter: ‘Dear MOK’s, sometimes people change, it’s not you it’s me…and Eileen’s has ‘Northside Nectar’. 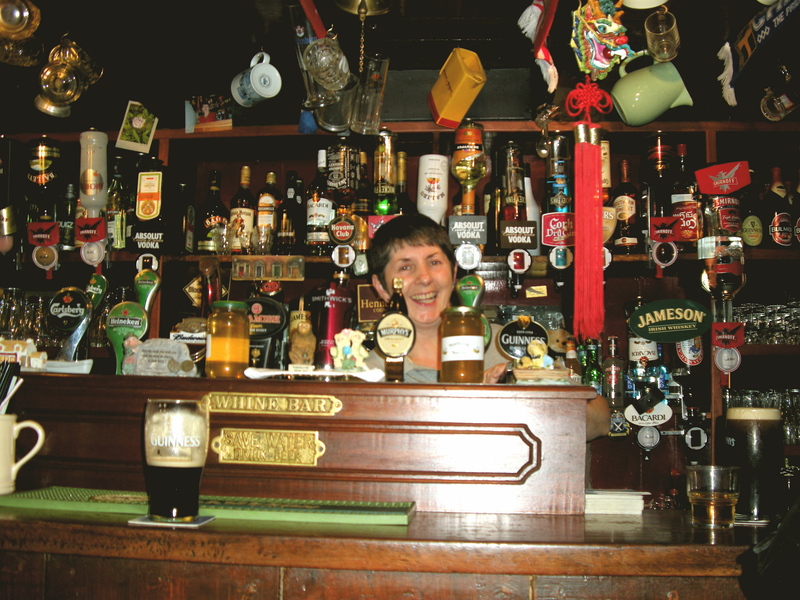 This entry was posted in Uncategorized and tagged West Cork, Pub, Ireland by Brian Moore. Bookmark the permalink. Today we heard the sad news that a Kilcrohane legend has passed away. 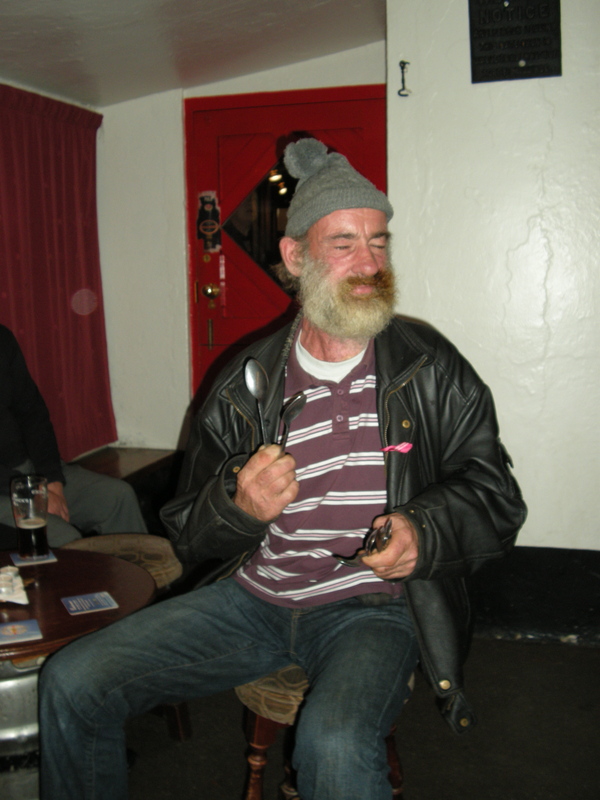 Finbarr Spillane was a gentleman, a great fisherman, a KIlcrohane landmark and the best spoons player on the peninsula. This is the first blog where I mention Finbarr, if you scroll down you will find a recording I made of Finbarr playing the spoons to what I think was his favourite song ‘Galway Girl’ with Neil Lynch in Eileen’s Bar. He made us very welcome in Kilcrohane and he will be missed. A very nice piece Brian. ‘When oft upon my couch I lie’ here thousands of miles away from Kilcrohane, I love to revisit posts like this one. Captures the moody magnificence that is the Sheeps Head! Maith a fear.